Pacific Shade Sails specializes in Outdoor Weather Management. With our unique shade and shelter solutions, as well as outdoor heating and cooling. We provide a service to commercial and residential. The family at West Coast Exteriors has been giving only the highest level of quality in building patio covers in the Sacramento and Bay Area for over 10 years. We will transform your backyard into a gorgeous extension of your house with our amazing patio covers. WCE applies this superior knowledge and craftsmanship in building all forms of patio covers in your area including our most successful and exclusive product, Louvretec. Outdoor Kitchens of Sacramento is a premier contractor in hardscape products, design, and construction industry, with exclusive vendor access to the highest quality manufactures both locally, nationwide, and internationally. We bring luxury hardscape solutions and products to the Sacramento area at an unmatched price. Don’s Awnings opened shop in Santa Barbara, California in 1980. We’ve called Roseville, CA home since 2001. Upon our relocation, we began concentrating our efforts in the Sun City Del Webb communities and have constructed many beautiful lattice, awnings, and drop shade designs throughout the community. We pride ourselves on our outstanding customer service and because we are locally owned and operated, you know you’ll receive the best customer service and quality craftsmanship. We are your local, friendly, awning company. Advanced Decking has been building beautiful decks in the Sacramento area since 1991. 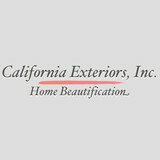 We are a fully insured licensed contractor with workers comp, CA lic 646309. Advanced Decking is a certified Trex pro, TimberTech Elite installer, and has 20+ years in redwood. We specialize in hidden fasteners which make for a beautiful appearance, easier cleaning, and no splinters. We build one deck at a time insuring your backyard project will be completely finish on time, to your satisfaction. Since 1978, California Sunrooms has been a leader in its industry, serving over 14,000 customers in the Northern California area. Our products are made right here in the USA, and we are proud to be an Authorized Service Provider for Home Depot, America's #1 hardware store. A quality product and personal touch is the reason for our longevity as a successful home improvement business. With each and every project, it is our goal to build and complete the job the RIGHT WAY, giving our customers the highest satisfaction and value for their hard-earned dollar. Wholly Committed To Custom Designed Sacramento Patio Covers Building Sacramento Patio covers since 1970, New Dawn Awning Company has been family owned and operated for over four decades. All of our work is designed and performed in-house, and because we do not use outside subcontractors, you always get the same level of superior service. From start to finish we are dedicated to providing you with complete satisfaction. A virtual lifetime of carefree ownership for you is the result of New Dawn Awning Company’s uncompromising standards. New Dawn Awning Company with special aluminum awning products can give you the look of wood without the maintenance. Using products such as Alumawood, you will never have to paint, fix or restore rotten boards. You will be able to enjoy your Aluminum Patio Covers hassel-free for years to come. New Dawn Awning insures that every step from estimating and designing to tear down and installation is performed untilizing the best quality control procedures. New Dawn Awning Company is California’s #1 choice in Patio Covers and Patio Enclosures backed by a 20 year guarantee. Most patio covers are assembled in one day. Find out just how affordable improving the comfort and value of your home can be! Call us today! The Wagamans have been providing quality construction in the greater Sacramento area for more than three decades. We strive to carry forward the family’s dedication to quality and professionalism every day. Attention to detail, pride of workmanship, and honor are what define our work. These qualities are built-in to every patio we build. 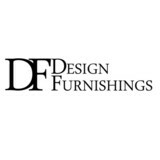 CW Designs offers a vast number of choices in patio designs, colors and materials. CW Designs has built hundreds of patio covers in every size and style you can imagine. With our experience and dedication to excellence, you are assured of: The Best Possible Price On A New Patio Cover Friendly and Professional Service A Beautiful Patio That Lasts A Lifetime If you are in the process of getting ideas and estimates for a new patio, please give CW Designs a call. STONE RIDGE DECKING IS A PREMIER DECK BUILDER BASED IN THE SIERRA FOOTHILLS OF NORTHERN CALIFORNIA Our goal is to provide the best quality service and craftsmanship available. 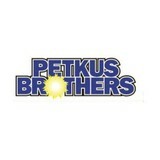 We have been in business since 2001. 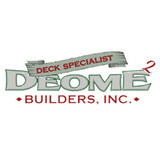 Specializing in deck construction. We build new decks. Replace existing decks, as well as deck repair and deck refinishing. We use Trex, Timbertech , Azek composite decking. We use Redwood as well as Exotic hardwoods like Ipe, Tiger Wood and Cumaru. All decking material are place over a treated Doug fir frame. We also install custom deck railing. Including Fortress wrought Iron. Feeney Cable railing. Traditional redwood railing. I am an owner builder. I will be on the job from start to finish. Insuring excellent work with unsurpassed attention to detail. What services do deck and patio builders in Rocklin, CA provide? To help you choose the ideal style, configuration and materials for your deck or patio, your deck and patio contractor will survey your Rocklin, CA lot and your home to come up with a design that complements your exterior as well as being structurally sound. He or she will recommend sizes, heights and construction materials that suit your lifestyle and climate, as well as explain the best stain or finish options. Additionally, deck and patio professionals can provide insight into additional components such as outdoor kitchens, patio covers, fire pits, outdoor lighting, arbors and more. Your deck and patio professional might work closely with another Rocklin, CA lawn and landscape professional. Here are some related professionals and vendors to complement the work of decks, patios & outdoor enclosures: Landscape Architects & Landscape Designers, Garden & Landscape Supplies, Stone, Pavers & Concrete, Landscape Contractors, Building Supplies. Find a deck and patio builder in Rocklin, CA on Houzz.